Being a developer and a retailer is tricky, says the Stardock exec, and one of the two will inevitably suffer. Selling off the Impulse digital distribution platform seems to have given Stardock CEO Brad Wardell more time to muse upon the state of the industry, or at least about Valve's role in it. He's already weighed in on Steam's chances against GameStop - Impulse's new owners - and now he's wondering how much becoming a retailer had hurt Valve as a developer. Wardell said that there was a significant difference in Valve's output - that is to say, the games it developed internally - following the launch of Steam. 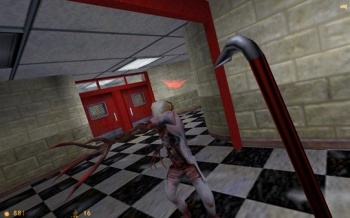 He noted that there hadn't been a new Half-Life game in a while, and wondered if it might be because Valve's focus was elsewhere. "When one of your groups is so ridiculously profitable, every business instinct you have is to throw all your best people at it, because that's what's making the money." He said that Stardock had found itself in a similar position with Impulse, but that the only way for Impulse to become a valid rival to Steam was to go all out and make become an online retailer. He said that that wasn't a direction that Stardock wanted to go. "When the winning scenario is not what your objective in life is, then it's time to re-evaluate what you want to do." Wardell isn't wrong: It has been a long time since Valve released a new Half Life game, but it seems likely that Steam is just part of the equation and development on other games has to be taken into consideration. By specifying games developed internally by Valve, rather than games that were started elsewhere then brought into the Valve fold, like Left 4 Dead, Wardell does eliminate a few titles, but actually not that many. Work on games like Team Fortress 2 - which has received constant updates since its release - and Portal - the sequel to which is due out very soon - will have had an effect on the production of a new Half-Life, too.